The second of the 12 Nantucket Lightships built since 1854, and the only fully operational, WLV-612 has followed a different course toward preservation - and it&apos;s now for sale. "It&apos;s with a lot of regret, but this ship has many adventures ahead of her," says the ship&apos;s owner, Bill Golden, 62. Built in 1950, the ship was stationed three miles off San Francisco&apos;s Golden Gate Bridge until 1969, when 40-foot unmanned buoys replaced it. Next the vessel served Cape Mendocino, Calif., for two years, then Portland, Maine, for four years before becoming the Nantucket Lightship in 1975. 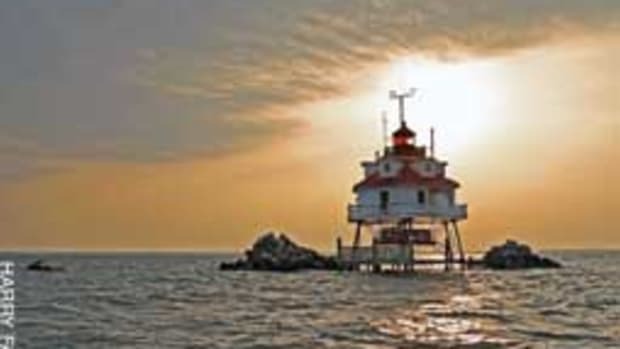 Ten years later, the ship was decommissioned by the Coast Guard as the last lightship in the United States. Fifteen years later, in 2000, Golden, a lawyer and environmentalist, and his wife, Kristen, bought WLV-612 on eBay with a $126,000 bid. The couple spent two years gutting the 128-foot steel vessel with a 30-foot beam and rebuilding it as a floating mobile platform for entertaining. Today the Nantucket Lightship hosts corporate receptions, weddings, formal dinners, celebrations, photo shoots and weeklong charters. It can have as many as 144 guests aboard while docked and its D379 Caterpillar diesel powers the ship from port to port in Southern New England and Long Island Sound. "What we&apos;re trying to create is a new paradigm for saving old ships like this by fixing them up and giving them value - enough value that people want to experience the ship," Golden says. The ship has held its own in earnings through the recession, but Golden says 2011 is shaping up to be the best charter season in years. Plans call for port visits this season for the currently Newport, R.I.-based ship in Nantucket, Martha&apos;s Vineyard and Long Island Sound. 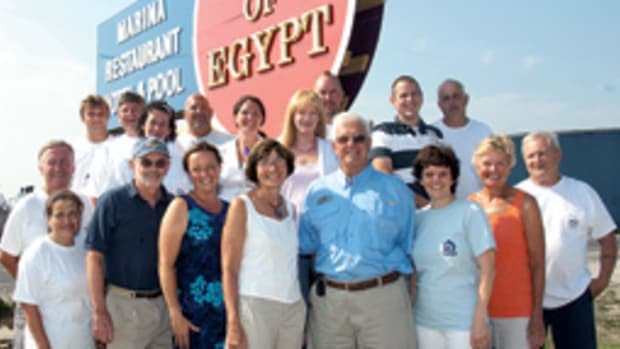 Moving the ship around has been a key to success because it allows more people to experience the luxurious floating inn, Golden says, and it&apos;s greeted with interest and enthusiasm wherever they&apos;ve been: "We&apos;re getting a real following," he says. 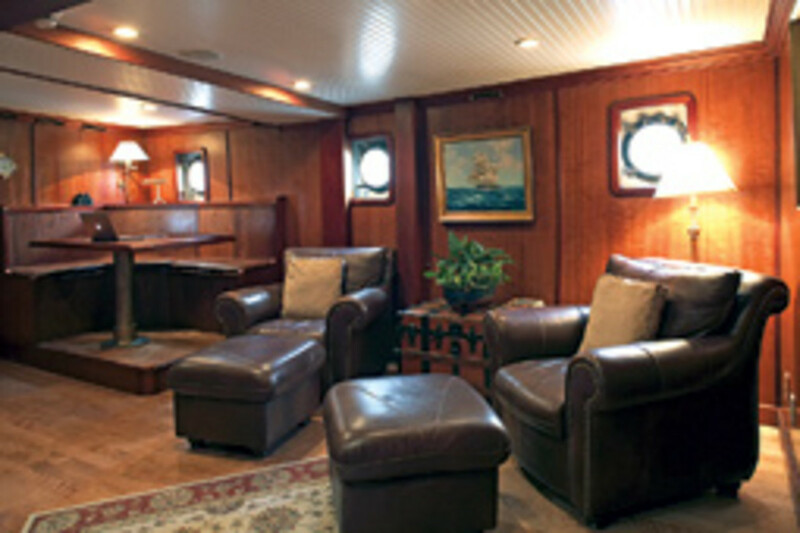 The interior features 4,000 square feet of deck space accented with mahogany, cherry and oak-paneled interior. The walls and floors feature original oil paintings, oriental carpets and artifacts. 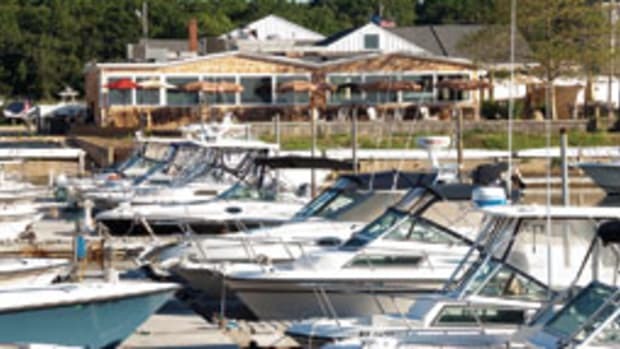 The exterior open deck space is 2,000 square feet. The restored Nantucket Lightship sleeps as many as 10 guests in five staterooms, each with en suite baths. 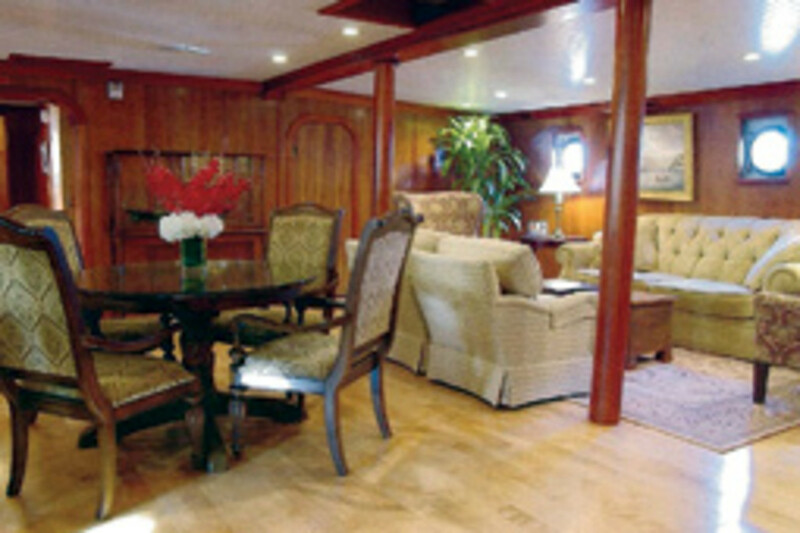 Also part of the layout is a formal dining room, a modern galley, a library and an entertainment room. All of the ship&apos;s systems were replaced with modern equipment with a commitment to keeping the specialized lights, gongs, bells and horns that were part of life aboard the ship on station. 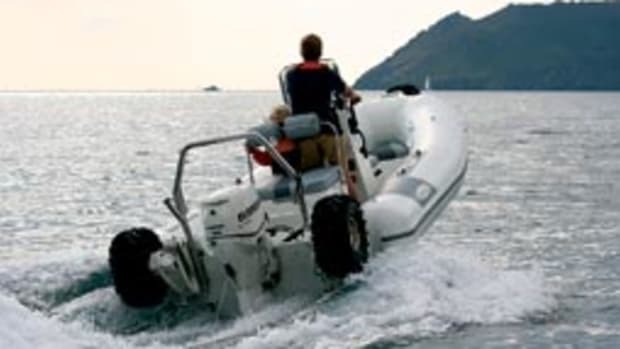 Also fully restored is the ship&apos;s tender, a 26-1/2-foot motorized whale boat. 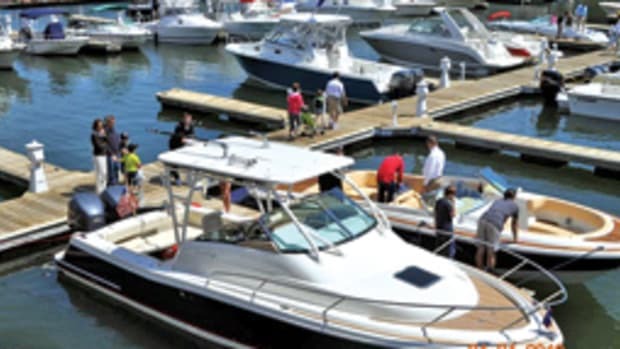 Weekly charters are $5,000 a day; a summer dockside vacation rental is $2,500 a day. 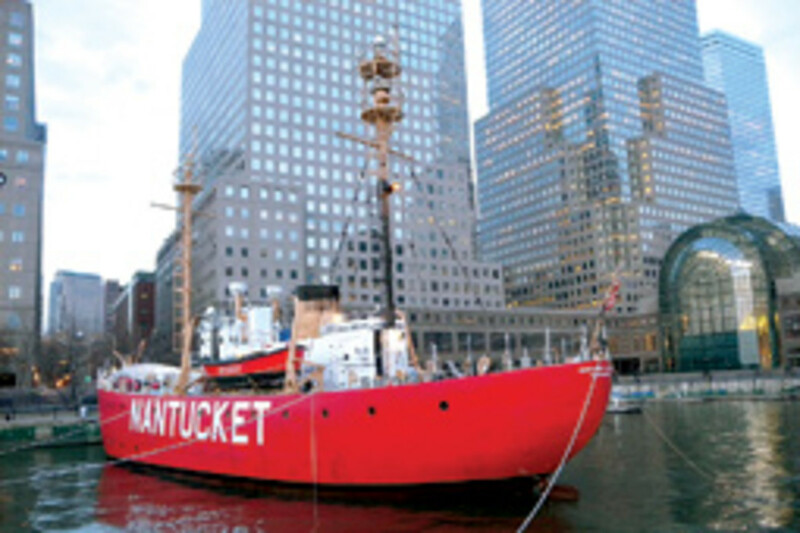 For interest in chartering the vessel, call (617) 905-9540 or visit www.nantucketlightship.com. 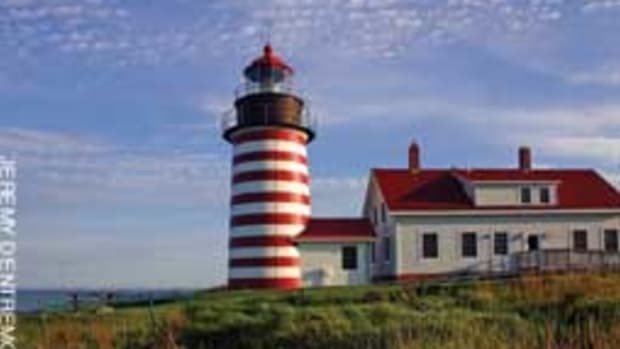 For information about purchasing the Nantucket Lightship, with its price tag of $4,950,000, contact Cannell, Payne & Page (attn: Chris Harris) at (401) 808-4548.